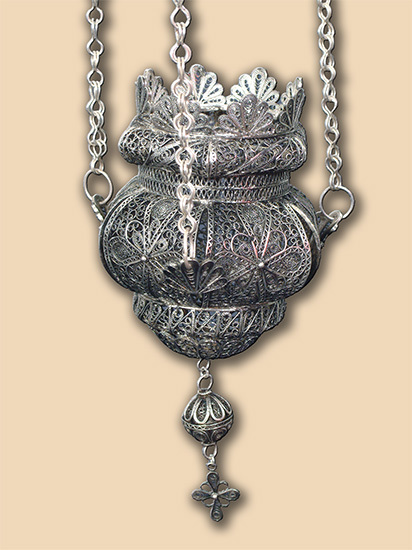 Icon silver filigree vigil lamp consisting of 6 elements and rosettes. Lamp is suspended on 3 chains with 3 filigree spheres. Commissioned by: Private votive commission. In possession of: Visoki Decani Monastery, Kosovo and Metohia.